You never know what might pop out! i took somewhere around 5000 photos and went through a bag of mallo's lol just to get the 5 images of fire i uploaded. Thanks Bruno!!! Here i am:-) wonderful image you created here. I love to look in a fire, there is always allot to see! 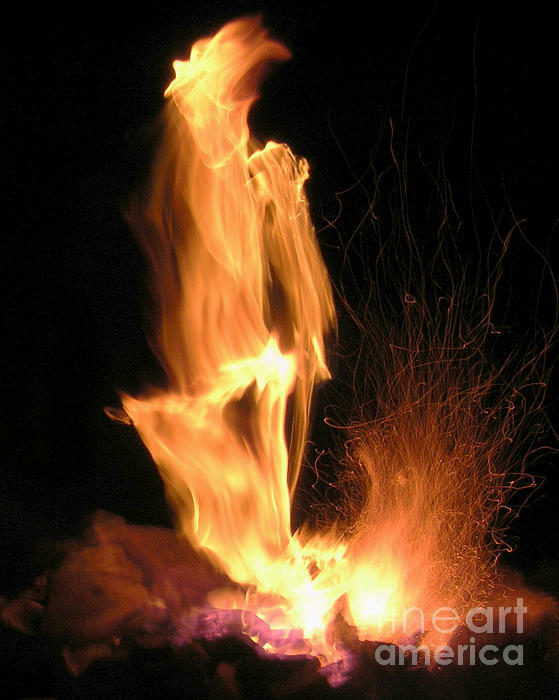 Fire caught on camera with no manipulation.